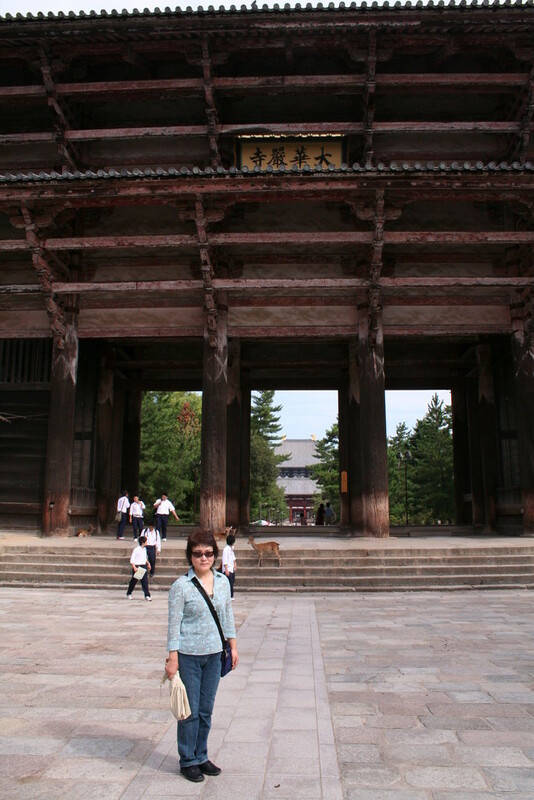 In September, 2008, I visited Nara with my wife for four days. Why Nara? 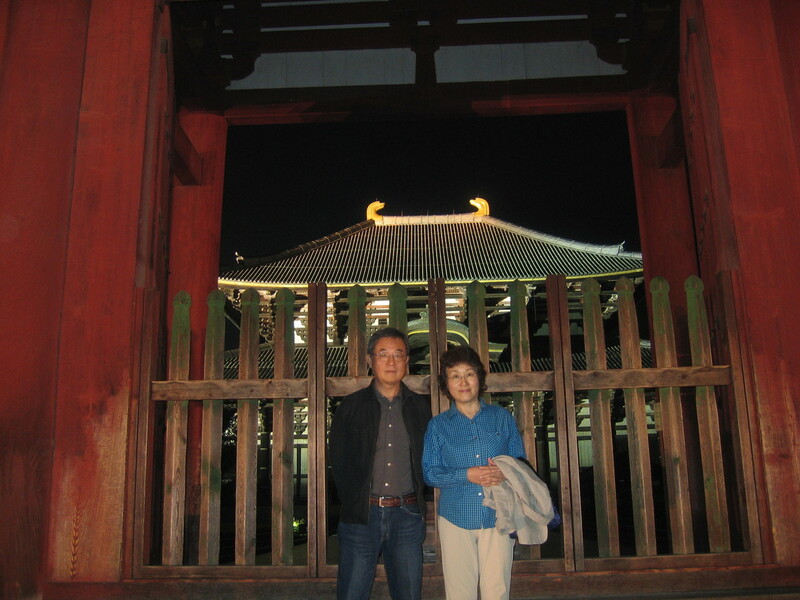 After serving four years as a JICA expert for an IT project in the Philippines, I had come back to Japan in June of that year; I had been longing to visit the old city rich in history which included some notable world heritage sites. 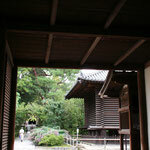 What follows is a brief description of what I saw and what I felt in Nara. Would you care to join me? 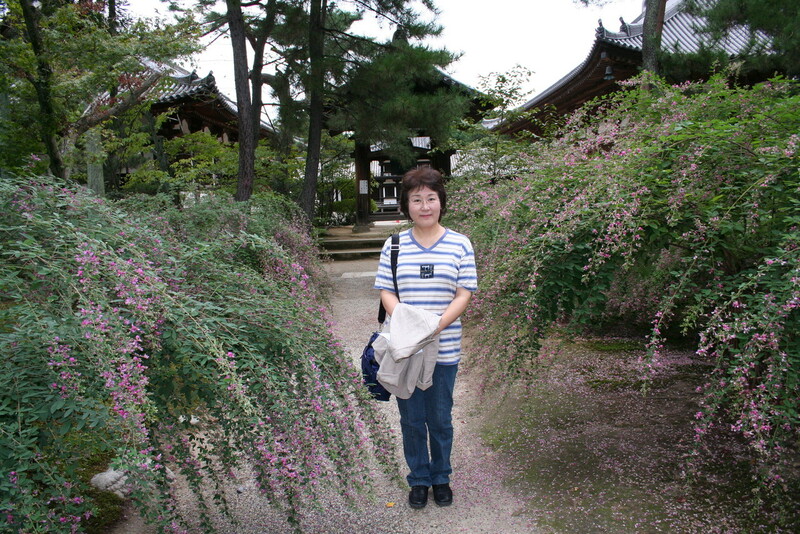 Although Nara is located not far from Kyoto (JR Nara station stands a mere 40-something kms south of the JR Kyoto station), it was only my second visit (if I remember correctly) which was more than fifty years since I first went there on a primary school excursion. 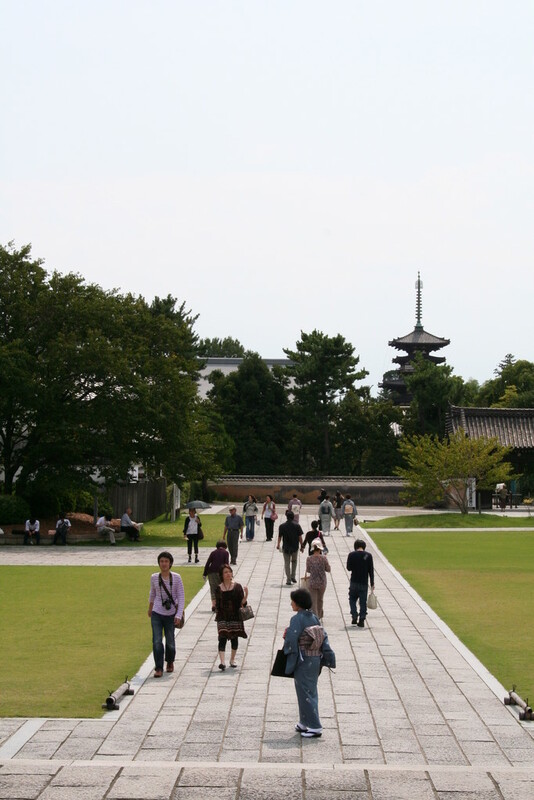 Perhaps Nara is not as popular as bigger and more populous Kyoto in terms of a tourist destination, especially for people living in the eastern parts of Japan. 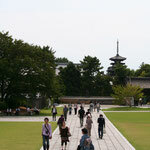 From Yokohama, we took the Shinkansen to Kyoto and from there a local JR train to Nara. After checking in at our hotel near the station, we headed straight to a Shinto shrine called “Kasuga Taisha”, a world heritage site. 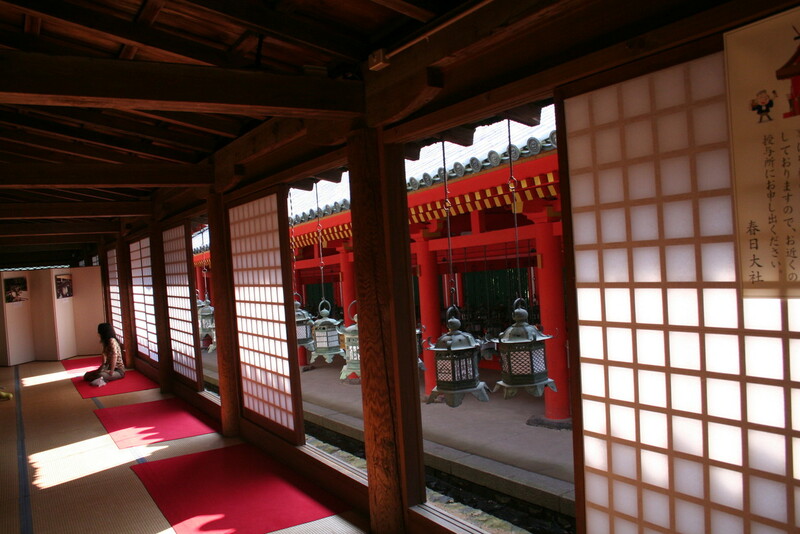 It is said that the shrine was originally founded in 768; the shrine is noted for beautifully decorated buildings, mostly in red and white colors. 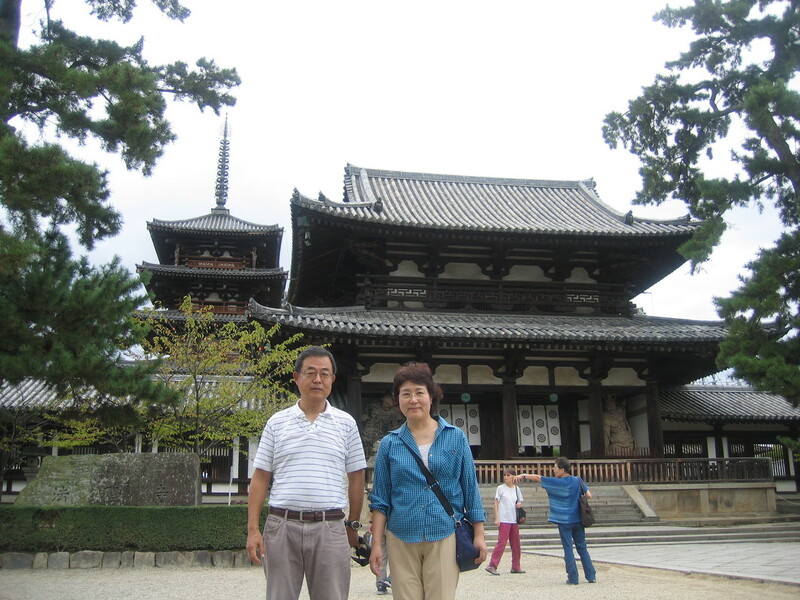 On the second day, we went to see two Buddhist temples, “Toshodaiji” and “Yakushiji”: both world heritage sites. 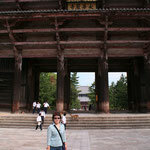 Toshodaiji was founded by a noted Chinese Buddhist monk in 759. 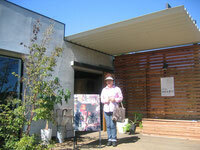 When we got there, it was relatively early in the morning and we enjoyed strolling in a quiet atmosphere. 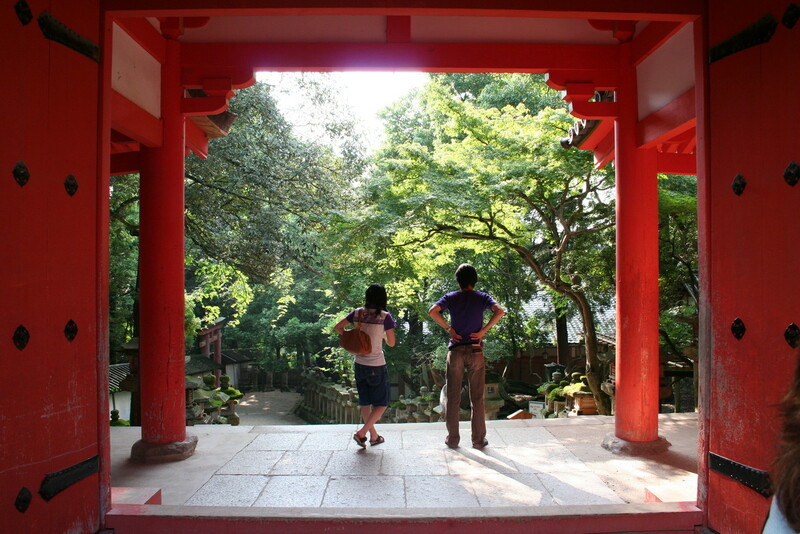 In one of the buildings were magnificent screen paintings of Japanese and Chinese landscapes in commemoration of the temple founder, Ganjin (photos of those paintings are shown in my previous essay dated August 22, 2012). 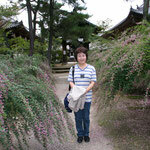 Yakushiji is located only a few kms south of Toshodaiji. 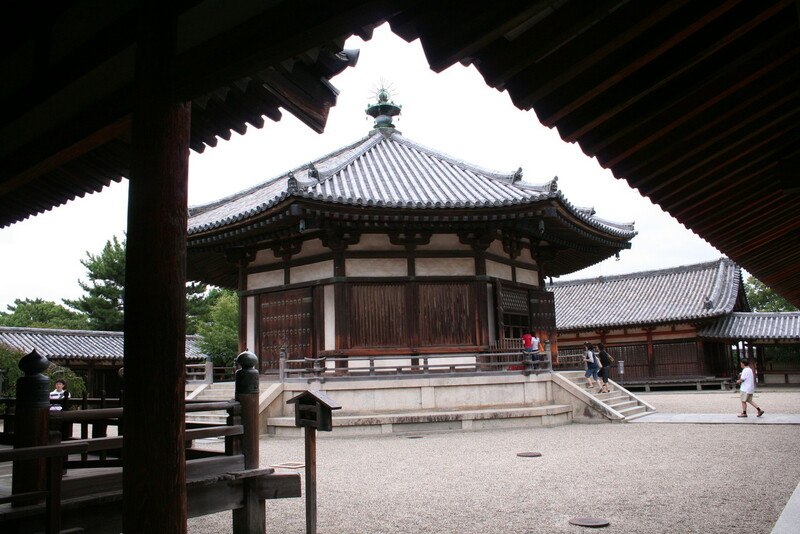 The temple was founded in 680 in Fujiwarakyo, the capital before Nara, and then was transferred to Nara in the early eighth century. 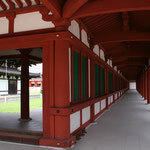 Once you enter the temple premise, you will notice a number of bright colored (red and white) buildings and a pagoda as well as those in subdued, weather-beaten (black and white) colors. The latter are of an older architectural style while the former of a newer style that was renovated in the twentieth century! I have heard that there was a heated argument as to the methods for renovation: scholars favored using modern materials, such as steel and concrete, to withstand natural disasters; experienced carpenters strongly insisted on using wood which they said would become in time much more solid and stronger than modern materials. 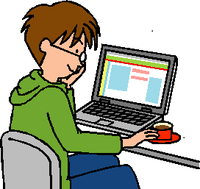 So, what happened? 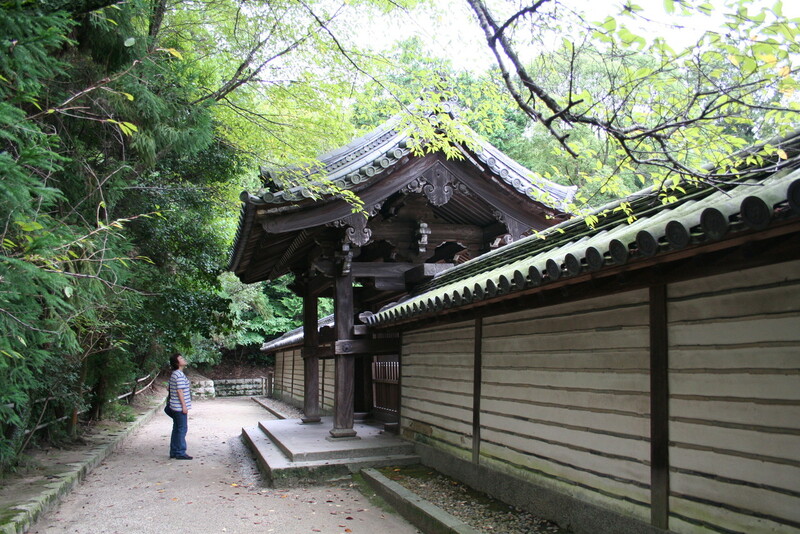 A compromise was made: new buildings used steel and concrete; whereas wood was used for a renovated pagoda (although steel was actually used to some extent). 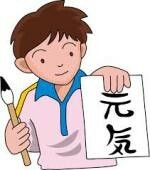 One more attraction of the temple is the gigantic wall paintings in a special building that is dedicated to a Chinese monk from the seventh century, who went to India and brought back prolific sutras to China. I was overwhelmed by the powerful wall paintings (by a contemporary painter, Ikuo Hirayama) especially the ones of the Himalayan mountains that seemed to be towering over and encircling you. 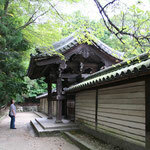 On the third day, we visited “ Horyuji”( a world heritage site). 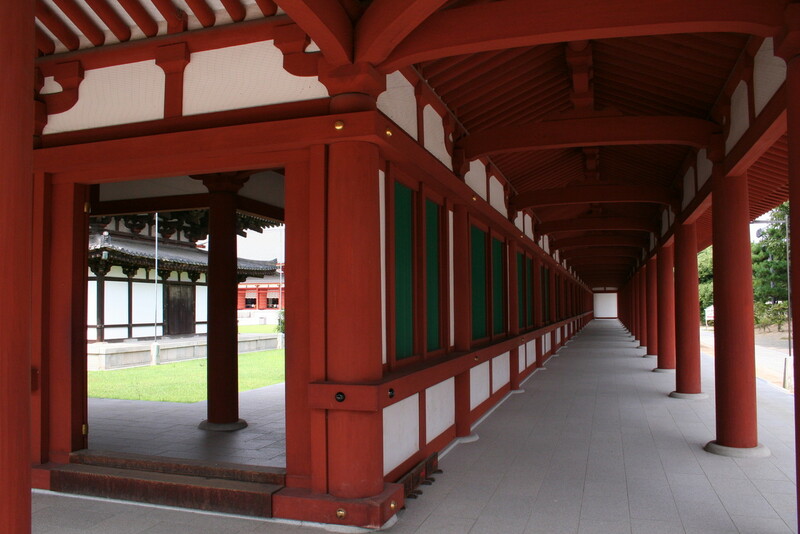 It was founded in 607 by Prince Shotoku, a well-known figure who endeavored to formulate a political system and promulgate Buddhism in ancient Japan. 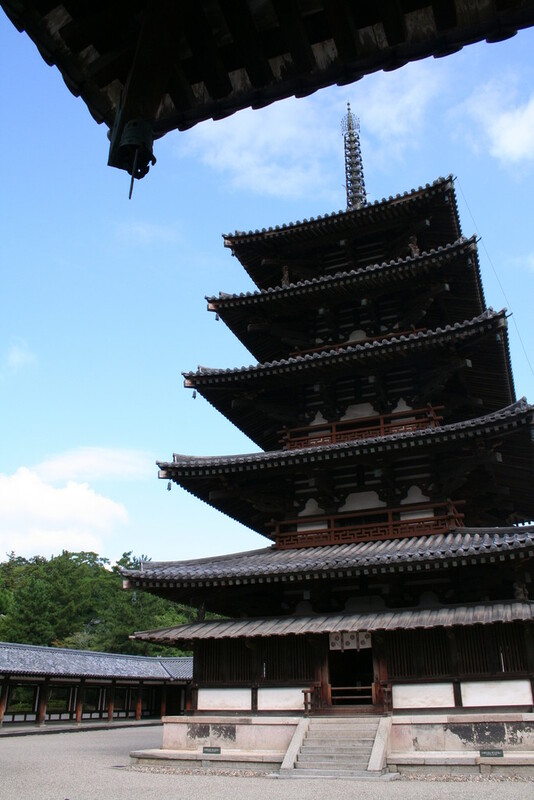 Some of the temple buildings dating back to the late seventh century to early eighth century are said to be the world’s oldest examples of wooden architecture. Incidentally, soon after the Meiji Restoration, the temple donated to the imperial family its treasures of many fine Buddha statues and artifacts including several that would later become national treasures. 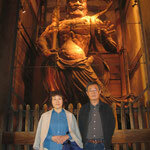 These treasures (more than 300 valuable objects) are now displayed permanently at Tokyo National Museum. 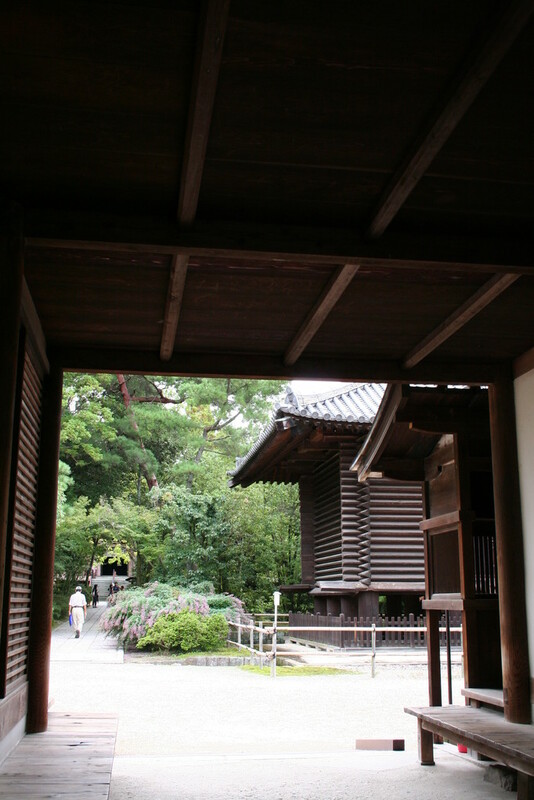 One more thing, in one of the oldest buildings at Horyuji, there were priceless wall paintings dating back to seventh century but were unfortunately destroyed by a fire in 1949. 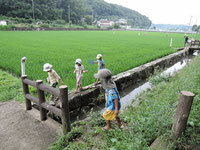 This prompted government action to enforce measures in protecting important cultural properties. 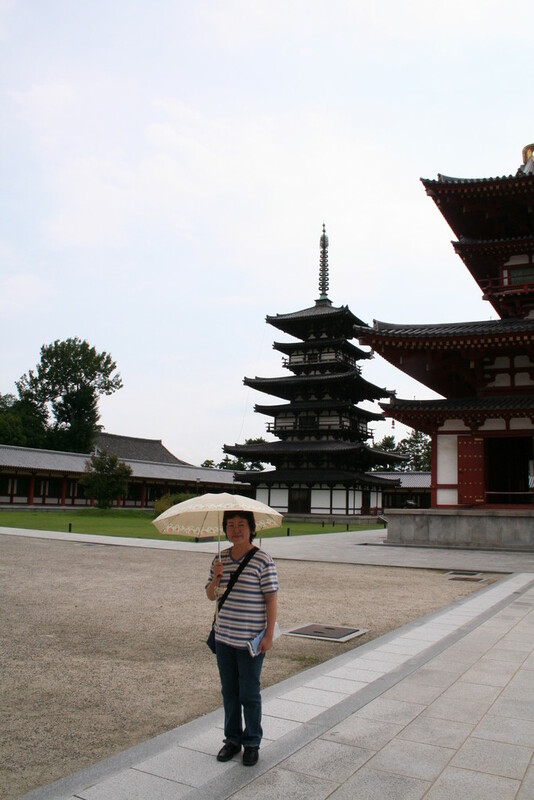 Frankly speaking, Horyuuji happened to be the top priority place that I wanted to visit in Nara. So, in this sense, my dream was realized. 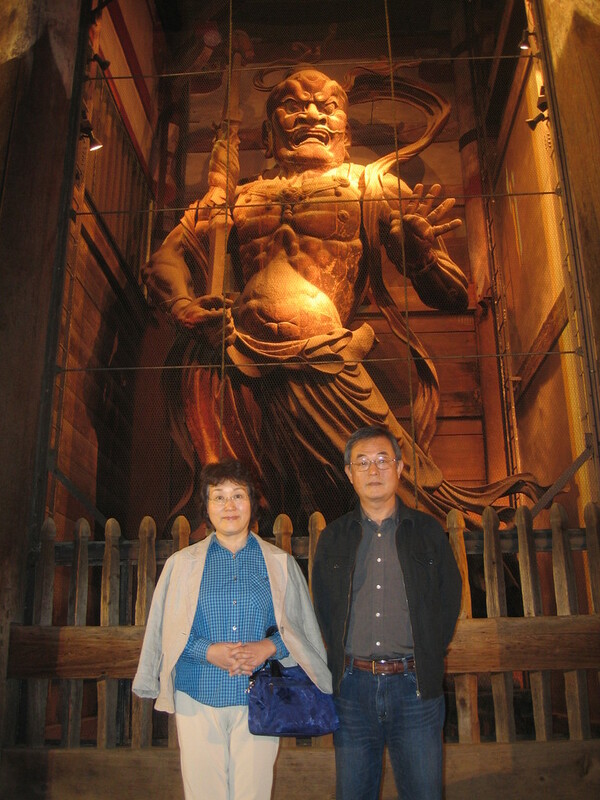 On the fourth day, we visited “Todaiji”(founded in the mid-eight century, also a world heritage site), famous for a great Buddha statue which is nearly 15 meters high. 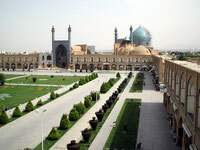 The main architecture that houses the statue has been burned down twice and the present building (47meters in height) was renovated in the 18th Century. 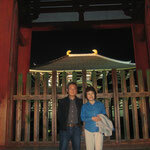 So, for four days in Autunm, my wife and I enjoyed visiting world heritage sites in Nara: rich in history and culture.